A lot of times we may feel like there is no sanctuary, no safe space allotted to question Christianity as presented, to be curious about God, explorative. Sunday church-going, for some, can feel like swimming upstream against a swarm of down-streamers—hard work compounded with the fear of being ex’d if “they really knew…”. This may not be you, or maybe it is. It was for sure me. I have found that being able to talk through questions about God with people who don’t feel any need to “fix” where I am has given God the room to do God’s work in me. In this film, you’ll hear ]a variety of voices, of witnesses to the aforementioned questions and how they have seen/experienced God in their life, in the middle of everydayness and we hope it reminds you that I you not in this human experience alone. That you am growing alongside, exchanging with, and included. 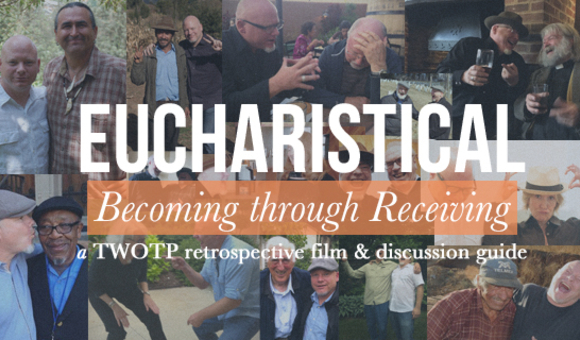 This resource includes the 26 min film A Mélange of Sorts and discussion guide with questions, reflection, benediction, and the transcript of the talk this series comes from.